Could Kenya be running Rwanda’s economy? In August 2013, a historical event unfolded on Africa’s biggest Safari land, Kenya. President Uhuru Kenyatta invited Rwanda’s President Paul Kagame, Uganda’s President Yoweri Museveni, and South Sudan’s President Salva Kiir, to commission one of Africa’s biggest Port of Mombasa, along the Indian Ocean. At the colorful ceremony, a massive docking facility for larger vessels, was opened to cater for the increasing volumes of regional imports and exports. He authorized Kenya Port Authority to open up a special office in Rwanda’s capital Kigali, allowing Rwandan traders to clear their goods instantly without facing a painful 2000km drive to Mombasa. Why of all countries, would Kenya choose to invest in a special office in Rwanda, yet the country has consumed only 5% of Kenya’s exports in five years? Why not Uganda that covered 70% of Kenya’s regional trade in five years? Why not in South Sudan, a strategic oil country? The Kenyan business community has an answer, and President Kenyatta has one too. KT Press has investigated where the answers lie. Kenyatta is aware that Rwanda does not consume the large volumes of its exports. Kenya’s total transit traffic for regional exports and imports to Rwanda has been only 5% in five years. On a more strategic standpoint, though, Rwanda remains Kenya’s primary link to eastern DRC, the world’s mineral rich region. Minerals that cannot be airlifted obviously end up at the seaport to industrial China or India, Kenya’s leading global trade partner. Records from Rwanda Development Board (RDB) indicate Kenya is Rwanda’s top investor and trading partner. The United States leads by volume, but for Rwanda, Kenya’s private investments have a cutting edge and a bigger social-economic impact. As of September 8, according to RDB records, 1,302 Kenyan companies had been domestically registered into Rwanda, directly employing close to a quarter a million Rwandans; relieving the government of increasing youth’s unemployment pressure. KCB, a 100 years old bank worth $2.7b, for example, placed an initial investment of $15m in Rwanda in 2008. By November 2011, the bank had already accumulated assets worth $46m and shareholders’ equity of approximately $13m. Maurice Toroitich, KCB’s Managing Director, is happy for he has managed to capture approximately 7% of the industry. The bank’s loan book had grown from about $15m in 2010 to $40m in 2011 (174% increase). 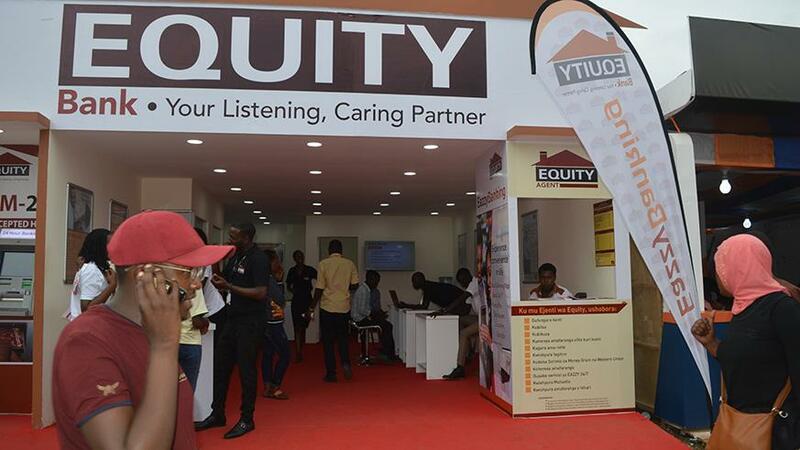 As for Equity Bank, Kenya’s $1.6b leading lender by market value, in July the bank announced that despite stiff competition in Rwanda’s 11 million population, they still register impressive numbers. The Bank’s CEO, James Mwangi, an ardent admirer and friend of President Paul Kagame, was in Kigali in July to inspect progress and speak to the President about his investments in Rwanda. More than 20,000 products mainly imported from Kenya, sit on Nakumatt shelves, providing business to merchandise producers and creating jobs in Kenya. The store has since opened up another store employing more than 100 Rwandans. Kenya’s biggest universities have already set campuses in Rwanda. Mount Kenya and Jomo Kenyatta universities have a combined number of about 10,000 students. Three Kenyan companies are listed and dominating Rwanda’s young Stock Exchange. The market has only six listings, but growing at more than 100% rate. Kenya’s Nation Media Group is not only listed, but has invested into a newspaper, a Radio Station and soon a TV station, currently employing more than 50 staff. The list of investors goes on and on. He started with one small shop in Kigali’s downtown 24 months ago. He says he has made good profits and now opened up two extra shops. In hospitality, the story is even intriguing. Rwandans have a joke that at every restaurant or a bar, there is one Kenyan. Most popular and vibrant bars and shops belong to Kenyans. Ask a taxi driver where “Car Wash Pub” is located or “Wahome’s Nyama Choma (grilled meat) ”and that’s enough for direction. Obviously there are reasons why Kenya is attracted to Rwanda, of $8b GDP compared to Kenya’s $35GDP. Thirst for the Rwandan market is openly vivid. Not to mean that other countries are not investing into Rwanda, but the question is, what could be driving the Kenyan thirst to the extent of toping the investment portfolio? Clare Akamanzi, RDB’s COO, says one can trace the answers from when Rwanda launched its economic development agenda 20 years ago. The tag line was and still is, “Rwanda is open for business,” Akamanzi says. The opportunities that came with the ambitious agenda are uncountable, she says. During the inaugural ceremony in Kigali, Nakumatt’s Operations Director, Thiagarajan Ramamurthy, said the company was delighted to have registered its first regional presence outside Kenya in Rwanda due to the country’s vibrant local economy and conducive investment conditions. Before flying back to Kenya’s Capital, Nairobi, Equity’s Mwangi said Rwanda is potential market for growth with a massive unbanked population. He promised injecting extra funds soon into the Rwandan subsidiary to raise the bank’s lending capacity up to $150m. Even Oguto of Fone-Xpress, a medium business, has already seen the same green light and smelt a green future. He says Rwanda’s economy of $8b GDP, is indeed small, compared to Kenya’s $35GDP, but the country is growing at an average 8% with policies that are too good for any business to thrive. “They are straight forward,” he says. The World Bank ranks Rwanda as leading economy in East Africa with regulatory reforms that have improved the business environment. Rwanda’s stance on corruption makes the country the least corrupt in the region. Uganda is ranked the most corrupt country in the region, followed by Burundi, Tanzania and then Kenya. The World Economic Forum’s competitive report of 2014 also ranks Rwanda 3rd in Africa, and leader in East Africa. Areas where Rwanda is among the top 10 in the world include, among others, starting a business (2nd), government spending (4th), friendly Foreign Direct Investment rules (5th), procurement of advanced technology (5th) and burden of government regulations and least cost of crime and violence (both 6th). According to RDB’s Akamanzi, Kenya seen as a mature economy of the region, with formidable private investors with a strong business acumen, thus easily find Rwanda a unique opportunity and attractive to invest in. “We know they are hardworking, they take time to study the market, that’s why we keep encouraging them to invest in Rwanda,” she says. Indeed, Rwandans see Kenya as a mature and aggressive business country. Sina Gerard, is probably the most famous Rwandan millionaire, and regarded as a maverick entrepreneur. With more reforms in place, and a growing middle class, with more purchasing power, according to Sylvio Rajula, a Kenyan IT professional, Rwanda is seen as “the oasis of the region.” And yes, Kenyans can smell it from far.